German farmers are angry, and with good reason. They have suffered roughly 600 million euros in losses in 2014 after Russia banned food imports from the European Union in response to Western sanctions over Ukraine. But given that Germany and Russia maintain very close economic ties, German farmers are of course not the only ones affected by the new Cold War. 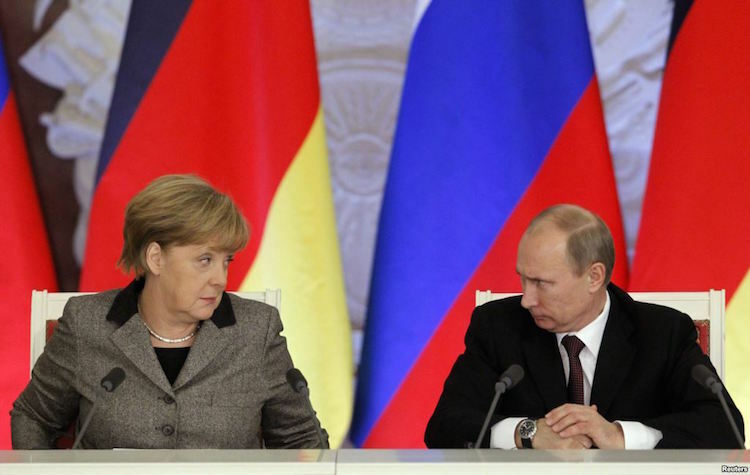 About 6,200 German companies operate in Russia with investments totaling 20 billion euros. According to the Committee on Eastern European Economic Relations, 300,000 German jobs depend on trade with Russia. This prompted the committee’s head Eckard Cordes to calculate that 60,000 jobs could be lost if German exports to Russia drop even more this year after they fell nearly 20 percent in 2014. The Committee on Eastern European Economic Relations is a joint organization of the leading associations representing German business. It is supported, among others, by the influential Federation of German Industries (BDI). Therefore, it was even more remarkable when the head of the BDI, Ulrich Grillo, recently wrote a letter to 1,000 company and association representatives, urging them to stop expressing sympathy for “regimes” such as Russia and China. Grillo argued that economic considerations have to take a back seat in the conflict with Putin. Instead of supporting Russia, German companies should make a greater contribution to stabilizing the European Union and strengthening transatlantic ties with the United States. In Grillo’s opinion, that is why it is very important to sign the Transatlantic Trade and Investment Partnership (TTIP) – despite all the criticism. Never mind that the free trade agreement faces stronger opposition in Germany than in any other country. The BDI head attributes this to the “dangerous ignorance” of Germany’s TTIP opponents. Many Germans are probably too “ignorant” to understand that Grillo doesn’t have any bad intentions. His affinity to pro-transatlantic groups and organizations has certainly nothing to do with his TTIP promotion tour or his attempt to cut Germany’s economic ties with Russia. Coincidentally, cutting ties with Russia has become the top priority of Washington’s friends in Germany in recent months. The shake-up of the Petersburg Dialogue, a biannual meeting of politicians, businessmen and civil society representatives from Russia and Germany, is a prime example of this trend. 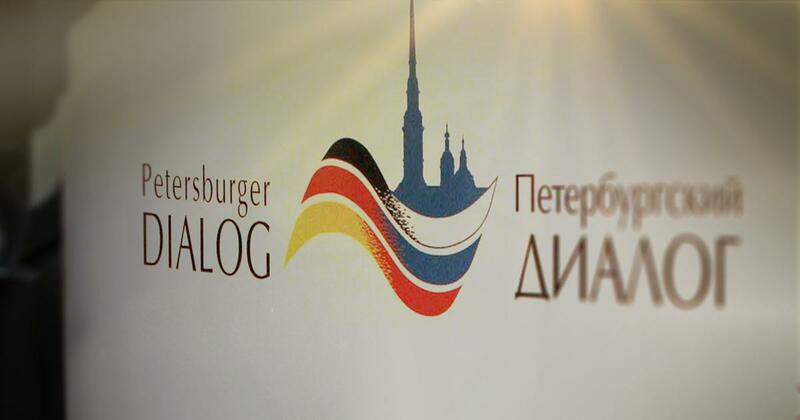 Last year’s meeting of the Petersburg Dialogue in Sochi was adjourned indefinitely after German “non-governmental” organizations refused to attend the meeting due to the Ukraine crisis. Shortly thereafter, Germany’s Chancellery and Foreign Ministry endorsed a paper calling for “reforming” the discussion forum. The paper was written by ruling party MP Andreas Schockenhoff, who had constantly argued for changing Germany’s policy towards Russia, rabid Russophobe Marieluise Beck, who is an ardent supporter of the Ukrainian regime, the Heinrich Böll Foundation, which is led by Beck’s husband, and the Konrad Adenauer Foundation, which helped to organize the coup d’état in Kiev. Other key points proposed by Schockenhoff, Beck & Co. included cutting the connection to the German-Russian Forum and reducing the influence of Matthias Platzeck, who leads the German-Russian Forum. Platzeck was heavily criticized by German media and politicians for his plea to recognize Russia’s “annexation” of Crimea. Nearly 40 percent of Germans agree with him but Chancellor Angela Merkel is not one of them. A few days after Platzeck made this plea, the Petersburg Dialogue reform paper hit the headlines and Der Spiegel reported that Merkel had taken matters into her own hands. She reportedly convinced Foreign Minister Frank-Walter Steinmeier to agree to the “reform” and sideline Platzeck. But the German Chancellor was not finished. After several months of tug-of-war between the Chancellery and the Foreign Ministry – between Russia critics and so-called Russland-Versteher (Russia sympathizers) – Merkel emerged again victorious. She got her way and decided to replace Lothar de Maizière with her confidant and former Chief of Staff Ronald Pofalla. Pofalla is probably best known for his desperate attempts to sweep the NSA spying scandal under the rug. By replacing the pro-Russian de Maizière with the pro-American Pofalla, Merkel is sending a clear signal to Moscow and Washington. Soros is right. All three living former German Chancellors – Helmut Schmidt, Helmut Kohl and Gerhard Schröder – have criticized Merkel’s policy and spoken out against the sanctions, to no avail. Recent developments suggest that Washington’s friends in Germany are trying to get full control over the country’s Ostpolitik, which bodes ill for relations with Russia. As long as the German people tolerate leaders who are more interested in pleasing Washington than in pursuing German interests, it is going to be very difficult to find a solution to the Ukraine crisis and stop the new Cold War.